One of the ways you can tell a veteran in retail versus a newbie is by the terminology he or she uses. For example, do they say POS or cash register? Or use a phrase like "bell to bell" to describe their work day. (That means they worked from open to close, by the way.) But one of the best ways is if he uses the term "keystone" when discussing margins. and represent the amount of money the retailer makes as a result of the sale. It is controlled by the of the merchandise. Markup is the difference between the cost of the product and what you sell it for or its market price. While many items in retail today have much lower margins than "back in the day" the best scenario is when you can have keystone margins. Essentially, keystone refers to a pricing method of marking merchandise to sell at an amount that is double the wholesale price - the price you paid the vendor for the product. So, if a box cost you $50, then making the IMU price at $100 would be referred to as "keystoning." ​This strategy was created before we had fancy computers in the days when you had to do the math in your head (if you can imagine such a thing.) If everything was priced at keystone, you could calculate "risk" from discounts or sales or offers with greater efficiency. Now, granted, if you can get 70% margins, then you mark the merchandise at that level. So do not think that the strategy was to arbitrarily make everything keystone for the sake of easy math. Today, there are pressures on our pricing strategies due to intense competition. While it would be great to mark everything at keystone, the fact is, if the store across the street sells it for $90, the reality is you cannot sell it for $100. 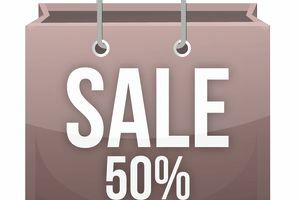 However, many retailers fall into the trap of competing with online retailers with their pricing and this is a mistake. Many recent research studies have shown that customers prefer to shop in a brick and mortar store. In fact,, I found that the number one reason someone would choose online over a store is not price, but the lack of experience in the store. In other words, if the experience a customer receives in the store and online are the same, then everyone would choose the lower price - myself included. But if the experience in the store is exceptional, customers do not mind paying a little more for merchandise. It's the same as tipping a great waiter for his service. Millennials and especially have stated that they are willing to pay more for an experience in the store. Many retailers have given up on keystone pricing practices opting to engage in lower "price wars" retailing, but these next generation shoppers are saying you shouldn't. Pricing is a tricky thing for retailers. Too high and you are perceived as luxury. Too low and you are perceived as discount/ low quality. Keystone has always been an acceptable markup for customers. It keeps you out of the luxury band (unless you are luxury) and above the low price guys. Your pricing strategy should consider the future. By this, I am referring to the inevitable fact that you will have to mark the item's price down to sell them all. It is a very rare occasion when we can sell every one of a particular item at full price. More often than not, you will sell the first few pieces at full margin, but will need to mark down the last couple to get rid of them. We can "fall in love" with merchandise and not want to mark it down, but the longer it sets on the shelf, the more money it actually costs you. It's better to mark it down and get the cash to buy some new, fresh inventory than to hang on to your affection for it. Plus, there should be to help you pay for the markdown.